If you have ever heard of or seen the phrase “celebrities, they’re just like us!” spouted on a YouTube short or plastered on a magazine cover, then chances are you’ve read those words with some much needed skepticism. You will be happy to know then, that there are some areas in life where celebrities are indeed exactly like the rest of us. Thinking of removing a tattoo? There are countless celebrities who have been there, done that, but for your sake we’ll slim the list down to three A-listers. Billy Bob Thornton in the form of his name and a dragon on her left arm. She removed the tattoo shortly after her divorce in 2003 and then replaced it with the birthplaces of her adopted children. Johnny Depp’s prolific filmography includes the popular Pirates of the Caribbean franchise as well as the recent Murder on the Orient Express. He also got a tattoo in remembrance of a significant other, Winona Ryder, which he promptly removed after their break-up. 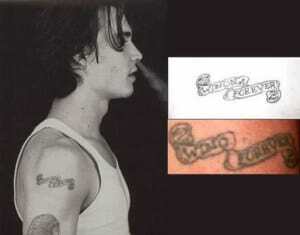 Depp only removed the last two letters of Winona in his Winona Forever tattoo, turning it into Wino Forever instead. While Mark Wahlberg has careers in many other fields besides acting, he is arguably most known for his roles in films like The Departed and All the Money in the World. 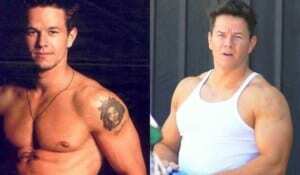 Before his prolific acting career, Wahlberg had one of Sylvester the Cat from the Looney Tunes on his arm. He might have fallen out of love for the iconic character or wanted an image change suitable to his career. Either way, he had it removed, along with a tattoo of Bob Marley. Tattoos are a popular form of self-expression, whether stemming from personal, romantic or simply aesthetic reasons. And as emotions often change, so do the reasons for getting and keeping a tattoo. Take comfort in the fact that you are not alone in this. For these individuals, it was simply a way to start over with a clean slate. Whether you have ink you’d like to remove because they’re painful reminders or you’re ready to move on with the next step in your lives, you can choose to do the same with the help of Newport Tattoo Removal. Give us a call at (949) 631-9009 to see how we can help.